College allows for much more freedom, but it may help to know a few things before diving in to the class listings and your professor’s syllabus. In high school, registration was a generally very simple process of deciding to continue with fine arts or to move into an AP or honors level course. College allows for much more freedom, but it may help to know a few things before diving in to the class listings and your professor’s syllabus. 1. Check the pre-requisites of future required classes so you can plan ahead. Your long-term goal should be to graduate, so don’t get delayed just because you took too few core classes! 2. If available and applicable, apply for honors classes or even an honors college. Many of these more rigorous paths give priority registration, and most provide specialized classes that boast of small class sizes—even for your core curriculum. 3. Research your class and professor options from the course listing before it’s time to register. RateMyProfessors is a must when deciding between professors, as reviews from previous students can give an invaluable insight to teaching style and attendance leniency. Having back-up options should your desired classes be booked is a good idea, especially if you are a freshman with a late registration time slot. 4. Register as soon as your slot opens, preferably that day or even within a few hours. 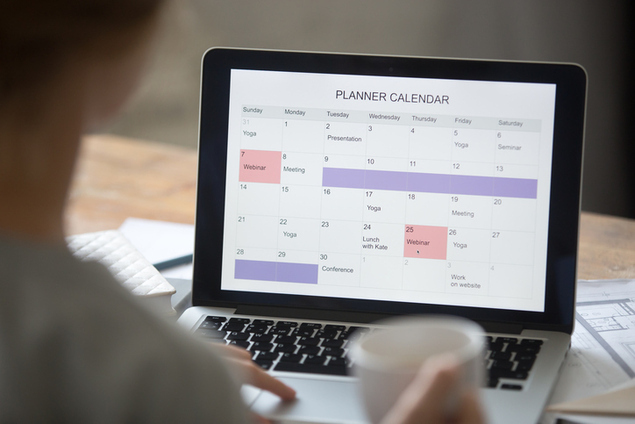 Even if you don’t like your options, fill in the best available schedule so you at least have a plan should the upcoming weeks—when classes are often added to fulfill demand—not grant the schedule you wanted. 5. Blocking your classes one after the other, similar to a high school bell schedule, gives less time to lose focus and less time to convince yourself to skip your next class. This is especially useful for students who also work part-time. 6. Never trick yourself into a class that starts before 10am. High school may have started at 7am and ended at 2pm, but college doesn’t have the same restrictions. Take advantage of them, but don’t overload yourself just because you think you have time. Most students take between 4-5 classes a semester.